Offering you a complete choice of products which include dip lorry without brake, dip lorry with brake, railway high level dip lorry, low level dip lorry for lhb sheels, low level dip lorry and dip lorry for lhb shell. Owing to the sophisticated infrastructure facility, we have been able to offer Dip Lorry. These lorries are manufactured using high quality components and designed to carry heavy loads with ease. 2 NOS OF DIP LORRY IN SET. Its carrying capacity upto 15 Tons. Owing to the sophisticated infrastructure facility, we have been able to offer Dip Lorry. These lorries are manufactured using high quality components and designed to carry heavy loads with ease. 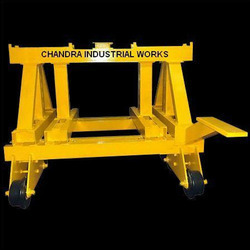 The wheels attached to the Lorries are strong and enable smooth movement with less efforts. We provide these products to the clients in different sizes and specifications to meet the varied needs. Owing to the sophisticated infrastructure facility, we have been able to offer Railway High Level Dip Lorry. These lorries are manufactured using high quality components and designed to carry heavy loads with ease. 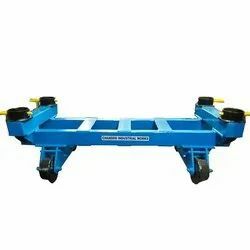 The wheels attached to the Lorries are strong and enable smooth movement with less efforts. We provide these products to the clients in different sizes and specifications to meet the varied needs. 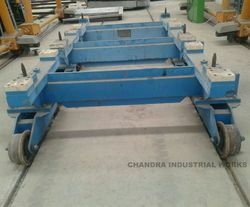 Low Level Dip Lorry for LHB Sheels manufacturer by us for ICF, Chennai use for Train choch building process. Owing to the sophisticated infrastructure facility, we have been able to offer LOW LEVEL DIP LORRY . These lorries are manufactured using high quality components and designed to carry heavy loads with ease. The wheels attached to the Lorries are strong and enable smooth movement with less efforts. We provide these products to the clients in different sizes and specifications to meet the varied needs. Our Customers can avail these Low Level Dip Lorry from us at reasonable prices. Capacity as per Railway Standard Drawing. Owing to the sophisticated infrastructure facility, we have been able to offer Dip Lorry for LHB shell. These lorries are manufactured using high quality components and designed to carry heavy loads with ease. Owing to the sophisticated infrastructure facility, we have been able to offer DIP LORRY FOR LHB TYPE SHELL. These lorries are manufactured using high quality components and designed to carry heavy loads with ease. 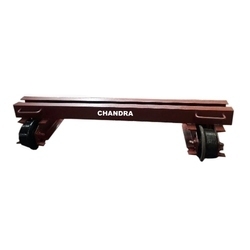 The wheels attached to the Lorries are strong and enable smooth movement with less efforts. We provide these products to the clients in different sizes and specifications to meet the varied needs.